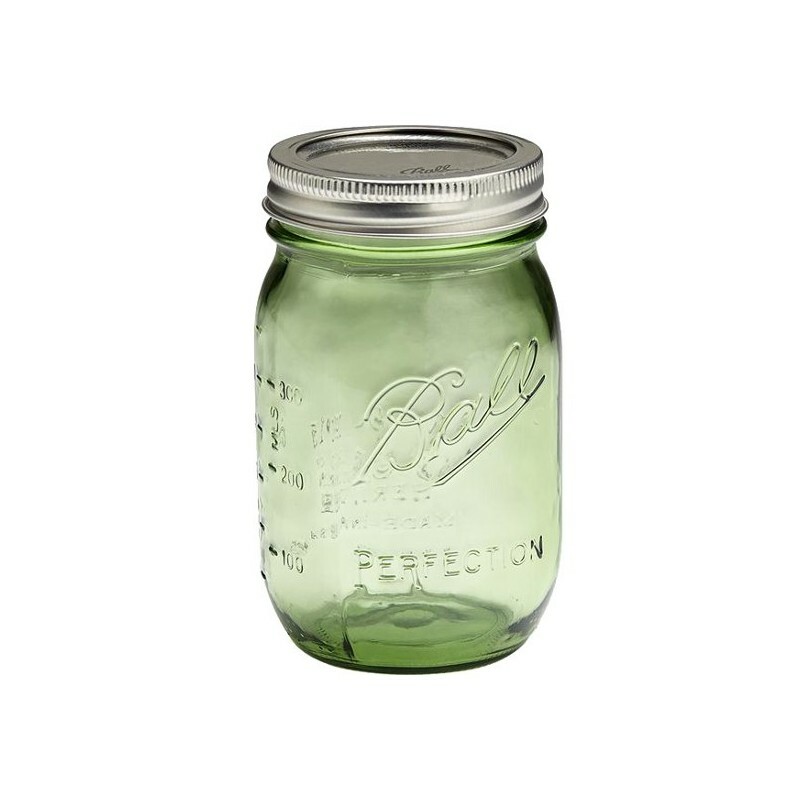 A genuine Ball mason regular mouth canning jar originally designed for preserving and can also be used as a quirky drinking glass, party decoration, glass storage and more. 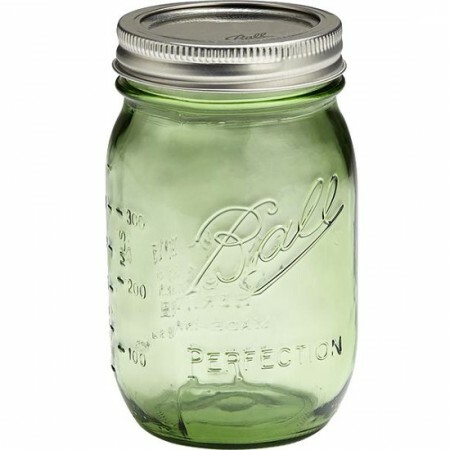 Limited edition spring green glass to mark the 100th anniversary of Ball mason. 475ml pint capacity. Limited edition spring green glass to mark the 100th anniversary of Ball mason. Includes a complete 2-part lid with flat sealed disk and twist band ring. Lids are recommended for single use only if using a water bath or pressure canner. Bands can be reused. 475ml pint capacity. 13cm high with a 70mm regular mouth.